Camp CGC accommodates non profit groups of 10-102 guests. 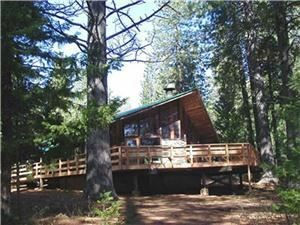 Located at 4,000 feet near Foresthill, California, Community of the Great Commission is on 428 acres in the Sierra Nevada foothills. Stately pines and panoramic views make this site a beautiful and exciting place to go to for summer camp, year-round adult retreats, and weekend family camps. CGC is an ideal place to bring groups to focus on your program. It's also a great place to have fun, whether relaxing by the swimming pool, going on scenic hikes or enjoying the view of the Crystal Range of the high sierra.